As I shared in my first post featuring my new Brooks Running activewear, the key to workout gear is finding the perfect balance of comfort and style. 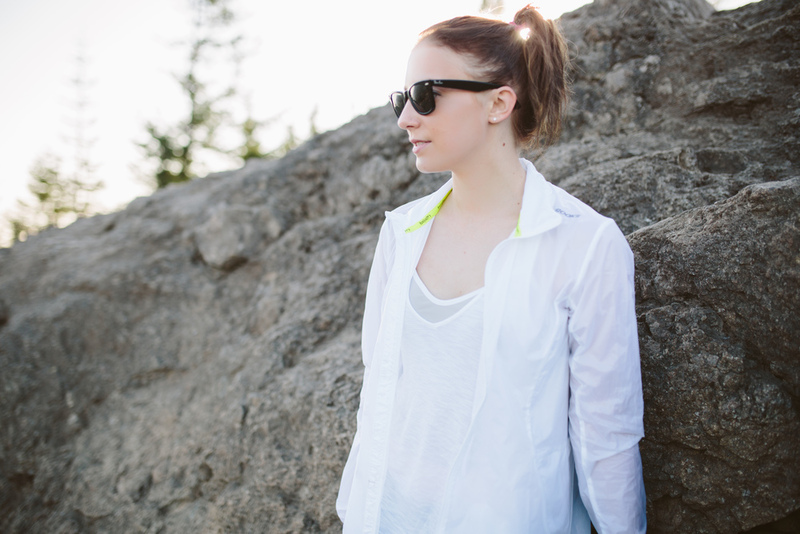 In this post I am showcasing one of my decked out Brooks look that's a closet-essential and incredibly versatile. 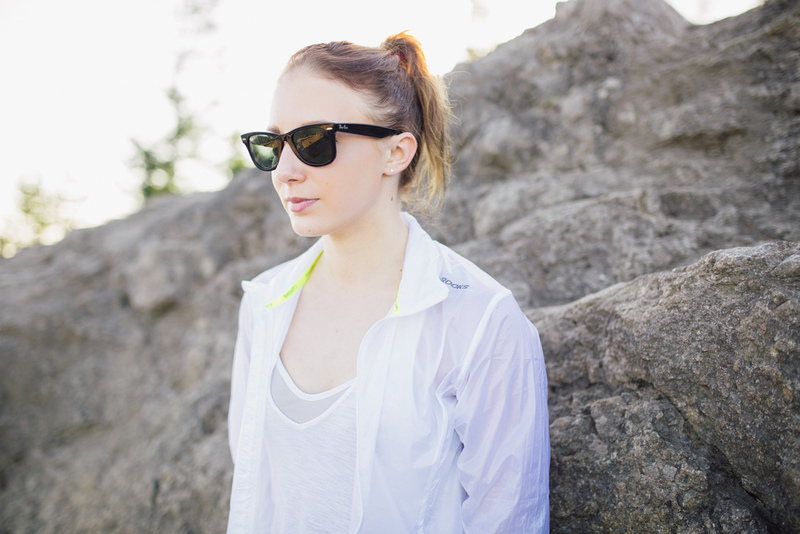 I'm talking about my favorite lightweight windbreaker, the Women's LSD Jacket in white. I've been on the search for months for a jacket that is on the lighter side to wear when running, hiking or cycling that I can easily stuff in a backpack and layer with a sports bra or tank. What I love about this jacket is the breezy material as well as the overall style with pops of neon yellow and reflective metallic which can add a little kick to an activewear outfit. The jacket comes in array of other colors as well. Yet another subtle yet practical way to rock some style while you're working out!